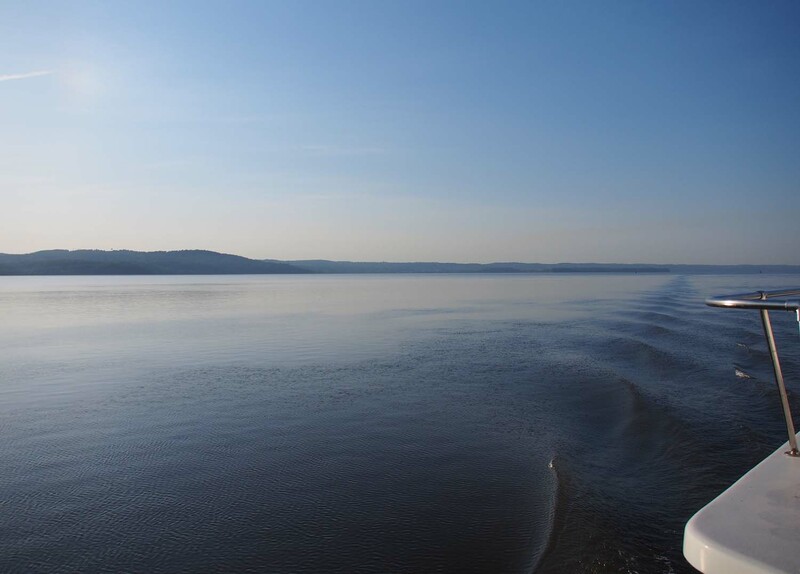 The Hudson is widest near Haverstraw. On the 10th we moved north to Rondout Marina on Rondout creek between Connelly and Kingston and got there by noon. This is a traditional vacation place for many area people. The marina is old and funky. It holds many smaller day fisher/tripper boats. Campers and vacation trailers (didn’t see a motorhome) were lined up against the river wall with a big grassy area on the other side that was full of people who have been coming here for years. 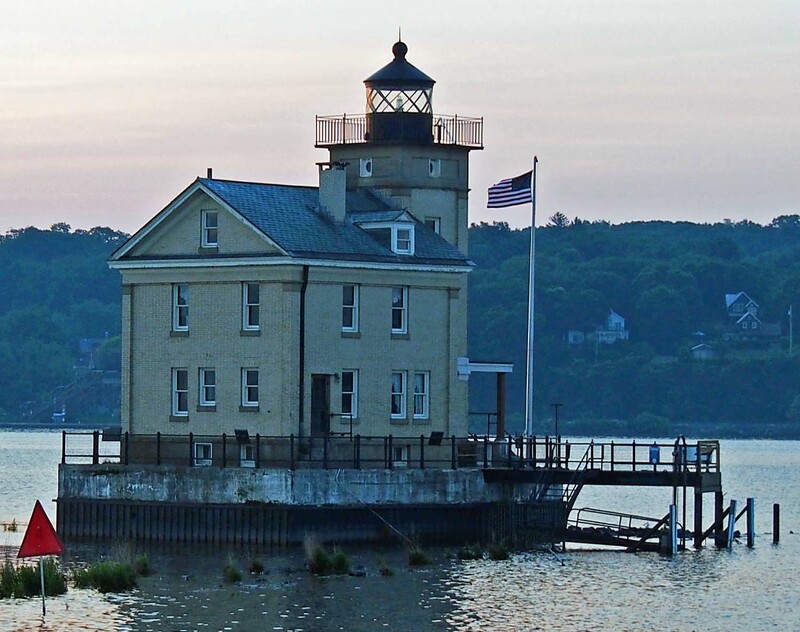 Restored lighthouse on the way from Haverstraw to Rondout Creek. 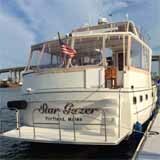 The outer dock was full with around 10 large boats mostly headed north. We walked out into a residential area of Connelly for a few blocks in a few different directions. The homes are old, small, spaced apart for horse and buggy rather than cars and were cheap when they were built. Most could use repair, some really needed it and two were boarded up. I remember places like this when I was growing up in North Idaho although there they were torn down and rebuilt long ago. Not here. Can’t see either end. A long train along the Hudson. Big tunnel under West Point keeps them straighter. We returned and this time were not let through the crowd. It was a huge Saturday potluck. We were invited to eat with them but had already before our walk. At least we could have desert. Ethan and Aaron took them up on that one. We talked awhile and learned more about the local area. It’s not what we would pick as a perennial vacation spot, but it’s easy to see why these people do. It’s a privilege to be with them for awhile. 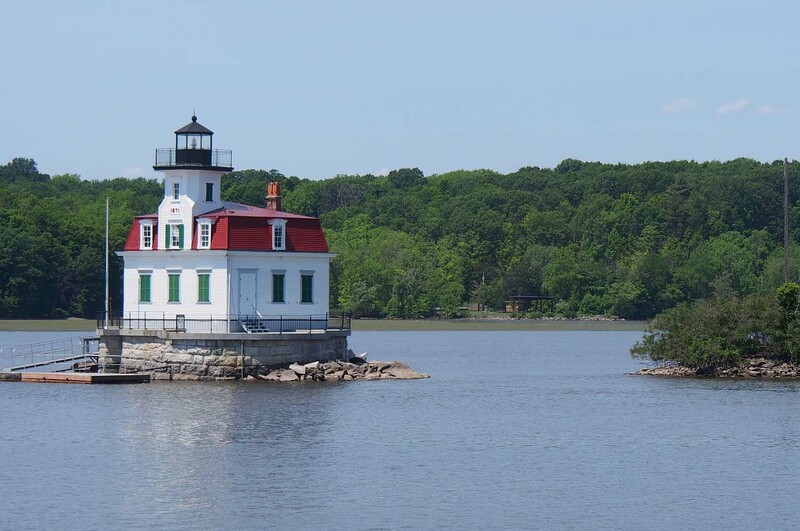 Restored lighthouse at entry to Rondout Creek. The kids made fishing friends. Unlike most marinas, fishing off the docks is OK. Watching them reminded me more of what I had heard about my Dad’s childhood than my own. On our first loop through here we learned that upstate New York is small town America with a heavy dose of old history. It’s nothing like NYC.